After a noisy evening on account of our neighbours entertaining on the pontoon (lesson: don't moor next to a boat who keep a table and chairs on the pontoon) we were glad to be off this morning, waving good bye to their assorted boat jumble and their three dogs. We started the trip by returning downstream the short distance to round the Ile L'Aumône, before turning back into the main channel upstream. 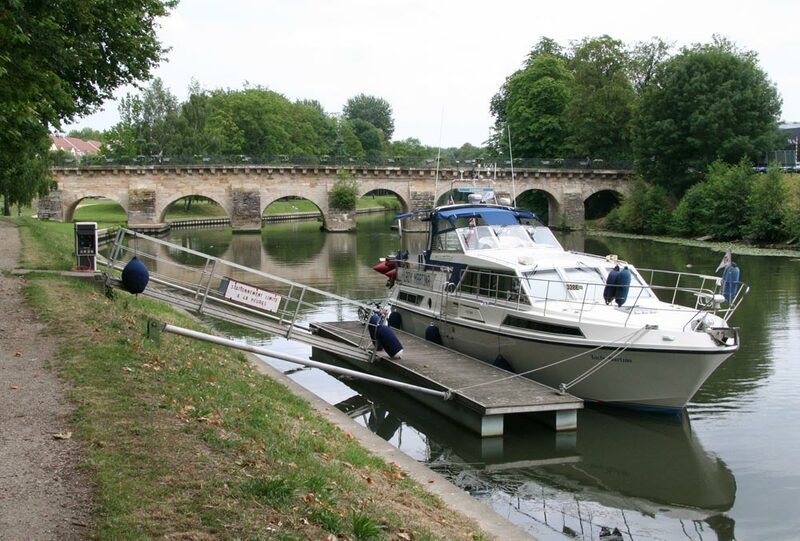 There is a channel which continues from the moorings in Limay, but a 5m bridge restricts air draught and would have meant taking the mast down, so we decided to take the easy option. This part of the Seine passes mostly industrial scenery and although there is a large dock south of Mantes and moorings for the Renault factory at Elisabethville, there is little evidence that barge transport is still the predominant method in use. We noticed in the Navicarte a halte plaisance at Meulan on a backwater of the main river, which advertised water and electricity. Access is via the narrow channel between Belle Ile and Le Fort and although unmarked, the fixed bridges had only around 6m headroom, rather than the minimum 8.75m as found on the main channel. We found it to be a very serviceable pontoon, in a quiet riverside park, and best of all having arrived around lunchtime it was completely unoccupied. Although there were four (free) electricity points our boat took the entire pontoon, and we wondered why the town council had not made it slighter longer, having gone to the trouble to provide it at all. However, we had no complaints and we made an interesting sight for the local residents who came to the park to eat their sandwiches. 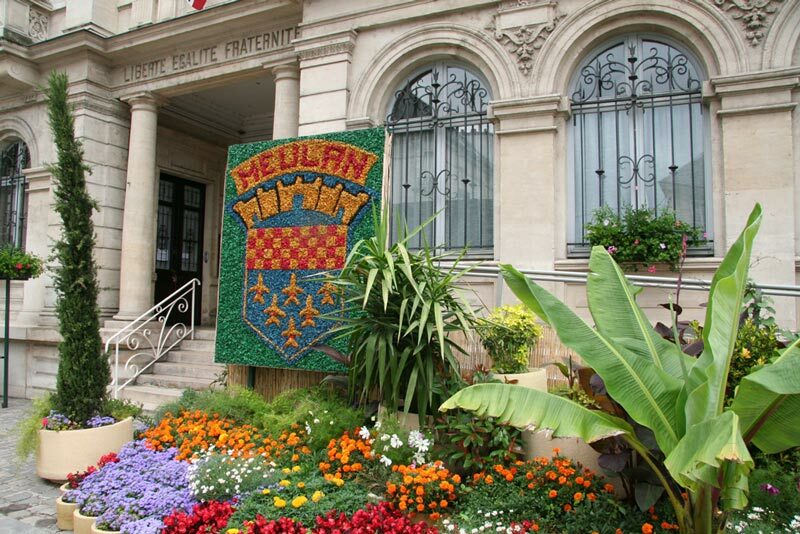 That evening we conducted a lively debate as to whether, if we were writing a book on the Seine, we would classify Meulan as a principal venue. On one side we thought yes, on account of its magnificent free mooring, and the abundant and nearby shops, restaurants, post office and launderette. On the other hand, its complete lack of cultural or historical attractions probably explained why it was not a more popular stop. On the opposite side of the river is the larger settlement of Les Mureaux, inexplicably twinned with Margate. I do wonder whether anyone from Margate actually visited before they agreed to the arrangement, as the town's charms, if there were any, were well hidden.